Everyones favortie topping is now available in a large food-service size. The opening of our 6.6 lb. 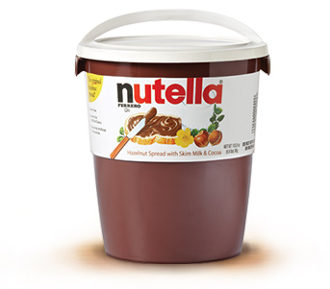 (3 kg) container accommodates a scoop so you can put Nutella in a piping or pastry bag for a variety of enticing recipe creations.